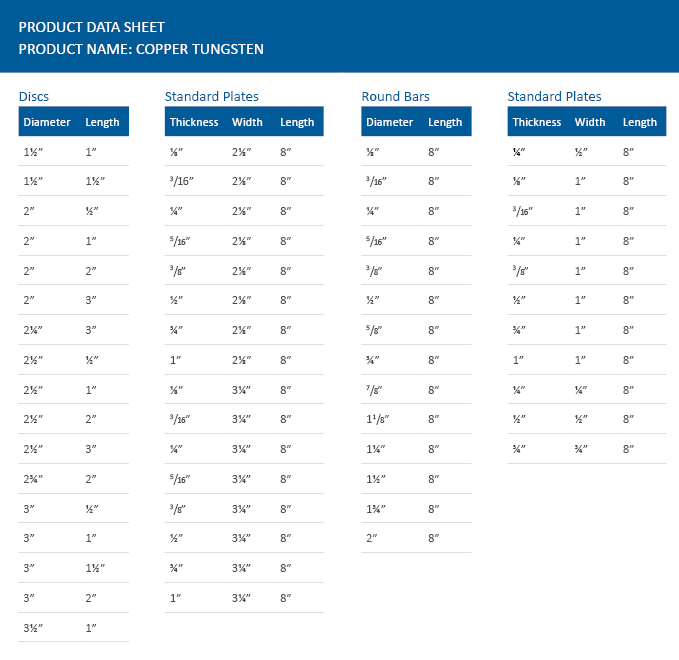 Erodex offer a large range of copper tungsten, with many sizes from stock. Copper tungsten is the material of choice when spark eroding carbide, and can be supplied as standard or pre-machined. Click here for standard disc, plate, square, rectangle and round dimensions. 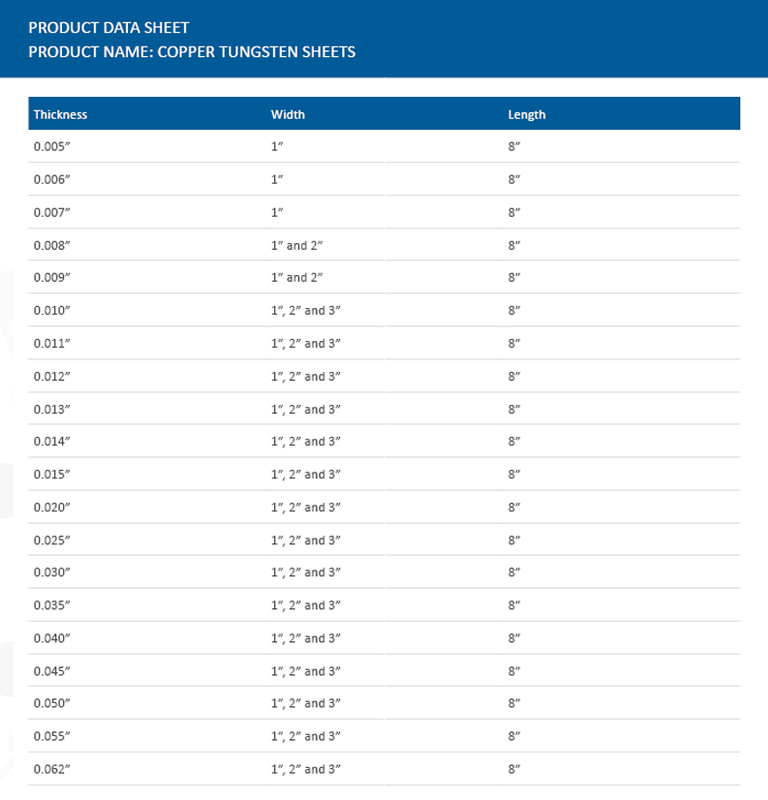 Click here for rolled thin sheet standard dimensions. Should you not see your size above, metric sizes are available, please contact us for more details. Copper tungsten is also available as tubes and wires, please click for more information.